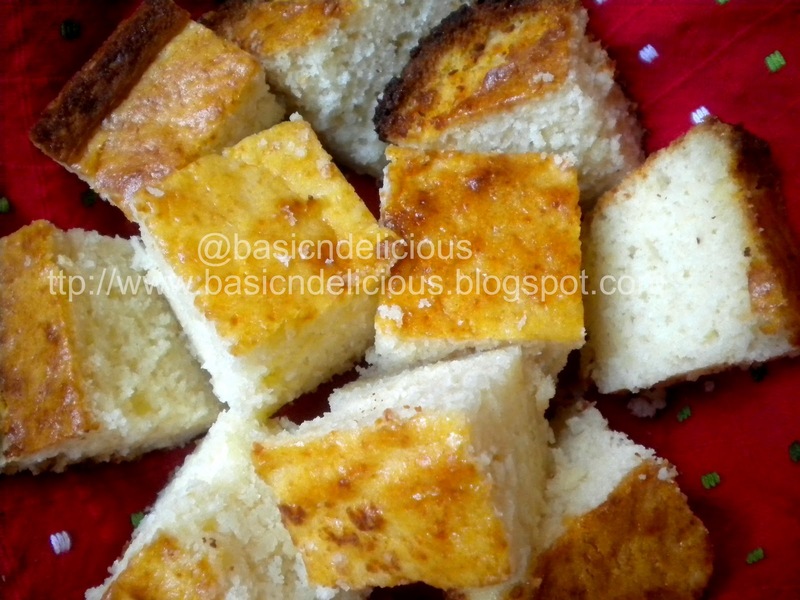 If you like corn bread, this will become one of your favorites too. A little sweet and sour is perfect for any occasion. 1 1 / 2 cup of sour milk. Preheat the oven at 350 degrees F (175 degrees Celsius). Mix sour cream with eggs and butter. In another bowl combine Parmesan cheese, sugar and pancake mix. Incorporate the two mixtures and stir slowly until all is combined. Transfer the mixture to a greased and floured pan, 8 x 8 in. or 20 x 20 cm. Let it cool completely before unmolding. This entry was posted in Uncategorized and tagged bread, cheese by Kathia Rodriguez. Bookmark the permalink.